Dedicated to being the best dust free tile removal company in the Phoenix, Mesa, Gilbert, Scottsdale, Chandler, AZ and surrounding areas! 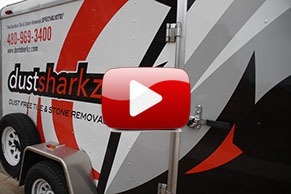 As leaders in the dust free tile removal industry, DustSharkz uses industrial grade HEPA vacuums, custom tools, and a unique removal process to capture the dust as it is created. By doing this we avoid a very dusty, dirty mess left behind and leaving the job dust free. Traditional tile removal creates harmful dust that will settle on your ceilings, walls, furniture, and draperies. It will also infiltrate your closets, cabinets, air vents and ductwork. As you move about the home or run your HVAC, it will continue to spread for weeks or months. Cleaning ofter will make no difference. At DustShark you can be assured of a dust free tile or floor removal and that our custom equipment and knowledgeable staff will leave your home much cleaner with no lingering dust to take away from enjoying your new beautiful floor. 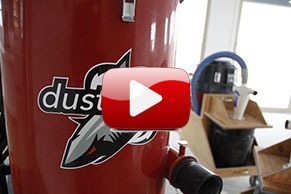 The DustSharkz dust free removal system removes ceramic or porcelain tile, natural stone, wood, vinyl and adhesives faster than traditional methods. We finish your project quickly because we don’t spend time hanging and removing ineffective plastic sheeting. Our equipment is industry proven and specifically designed for dust free tile and flooring removal projects. Our experienced crews have been using this method for years so your project will be completed cleanly and efficiently with the right tools in the shortest amount of time possible. Tile and stone removal involves breaking up the tile, grout, and thinset installed on the concrete slab. These materials release a very fine silica dust, which is a known carcinogen and exposure levels are regulated by OSHA. Static electricity enables the dust particles to cling to surfaces until they lose their charge and fall. This dust can cause irritation to eyes as well as the respiratory system. Whitch may result in an allergic reaction or even trigger an asthma attack. Our DustSharkz dust free tile removal method reduces the dangers of this dust and is healthier for your family, friends and pets. We provide a cleaner tile removal for your safety and our employees too.